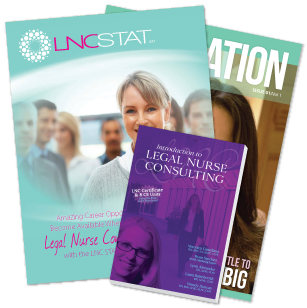 Legal Nurse Consulting News: Legal Nurse Consulting News: Do You Have What It Takes to Become a Legal Nurse? Legal Nurse Consulting News: Do You Have What It Takes to Become a Legal Nurse? Each day, nurses toil with the idea of earning a certification to become a Legal Nurses Consultant. Each nurse has different reasons for pursuing this career option. For most, they are motivated by the promises of $150 per hour pay, working as their own boss, owning their own consulting practice, and the thought of an exciting new career change with great potential for success. These goals are absolutely attainable, especially with a highly effective course like LNC STAT by RN MARKET. However, no matter what course you complete, you must find the motivation within yourself to find success. The Worker - A nurse who will suffer through any job, no matter how bad the working conditions. This nurse lacks confidence in their abilities and lacks the willingness to pursue a better situation. They are often stuck in an unfavorable work atmosphere for a very long time and refuse to seek a brighter future, never knowing if a better option is available outside of their bubble. The Dreamer - A nurse who dreams about what they want in life, but does not fully pursue what they want. We see this in many nurses who take the first steps to begin the LNC STAT course, but never put what they learned to work and never get a case. This type of nurse typically completes a lot of additional education, but never puts any of it to work. The Doer - A nurse who sets a goal and achieves it. They complete the LNC STAT course, put what they learn to work, and secure cases to become a successful Advanced Legal Nurse Consultant. Chances are, you fit in one of these categories. What kind of nurse are you? You have the choice to become any of these types of nurses. You can pursue your dreams with conviction and persistence or sit back and never achieve greater things in your life. Everyone wants to be "The Doer", and everyone has the ability to do so. They must simply make the decision and execute what must be done. Becoming "The Doer" often requires people to step outside of their shell into a place that some initially find uncomfortable. This is especially true for nurses. The uncomfortable feeling is improvement taking place. You are improving who you are and what you can do. Many people are uncomfortable with new things. However, once they get used to the change, it becomes second nature. Trying new things is a necessary part of bettering yourself. You should never be afraid of bettering yourself. What is the secret to becoming "The Doer"? The answer is motivation. You have to find your motivation and use it as fuel for change and improvement. Your motivation fuels your motion-just like gasoline does in a car. Be like a super-fast and highly desired super car, not a typical and unexciting economy car. Determine your motivation and use it to generate real action. It's okay to be "The Worker" or "The Dreamer". But, do you really want to be. Do you think you can be content with that, while knowing that a bigger and better future may be out there for you? Challenge yourself to become great. Do you have what it takes to become a successful Legal Nurse Consultant? With the help of the LNC STAT course, by RNMARKET, the answer is YES. You just have to make the decision to put it to work and achieve success. The LNC STAT course will show you everything else you need. Click Here if you are ready to become "The Doer".